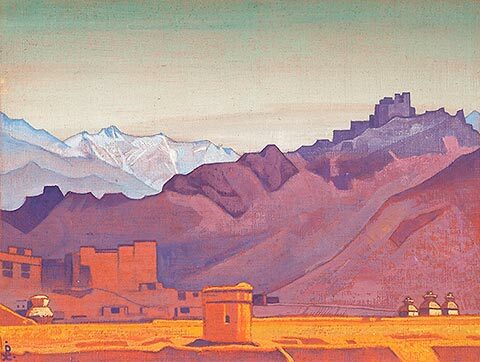 (b St Petersburg, 9 Oct 1874; d Nagar, nr Kulu, Himachal Pradesh, India, 13 Dec 1947). 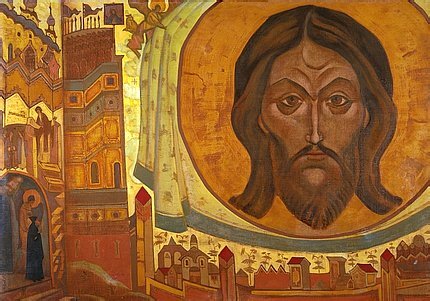 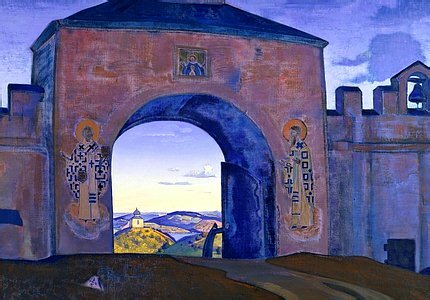 Russian painter, stage designer and founder of cultural institutions. 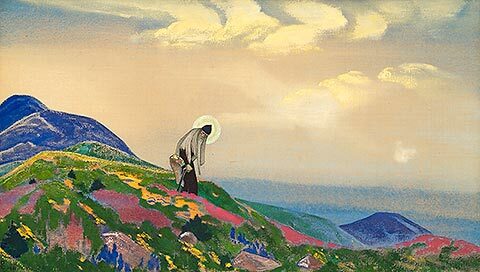 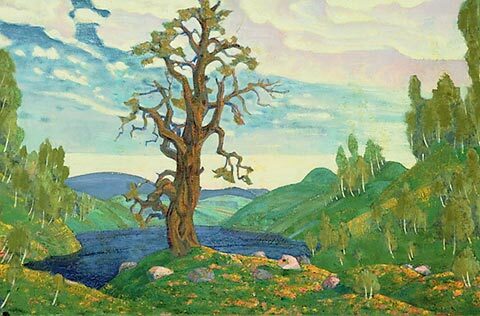 The son of a lawyer of Scandinavian descent, he graduated from the studio of the landscape painter Arkhip Kuindzhi at the Academy of Fine Arts (1897) and from the faculty of law at the University of St Petersburg (1898). 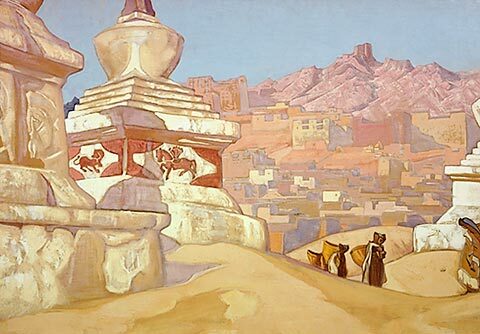 He then studied in Paris with the history painter Fernand Cormon (1900). 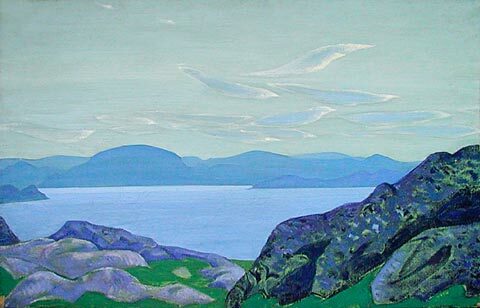 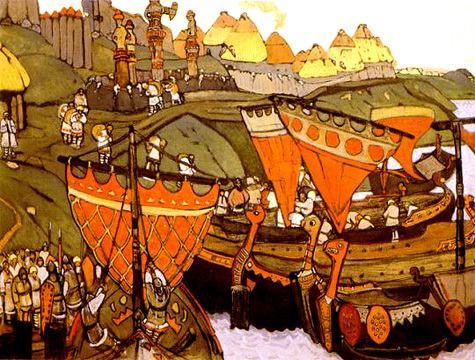 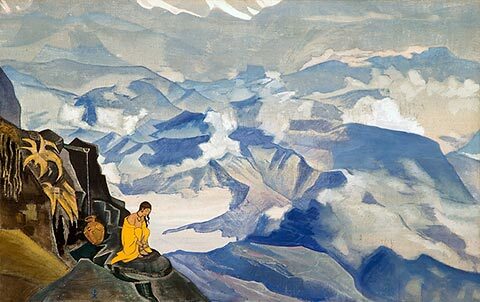 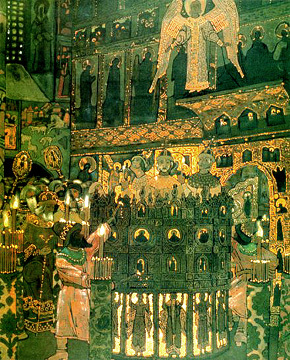 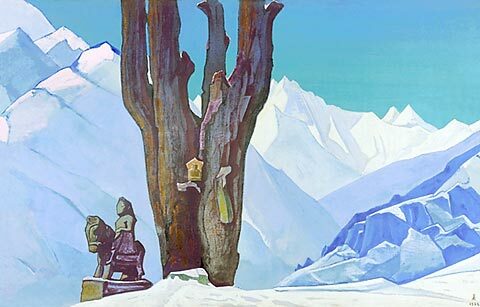 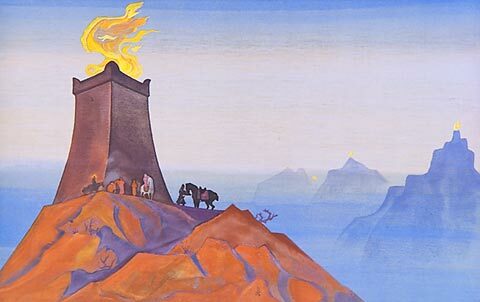 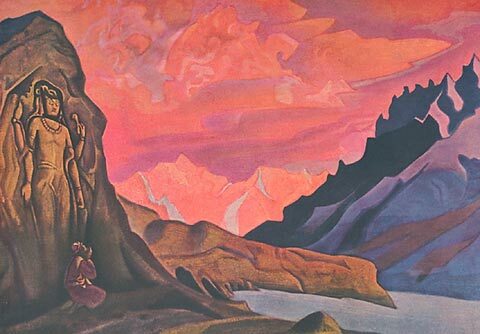 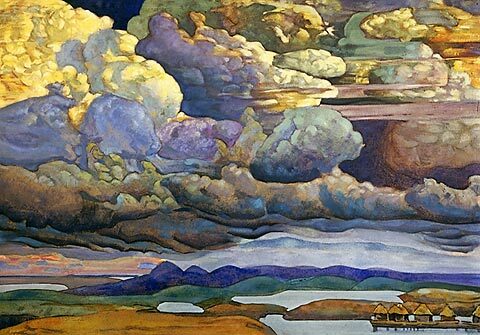 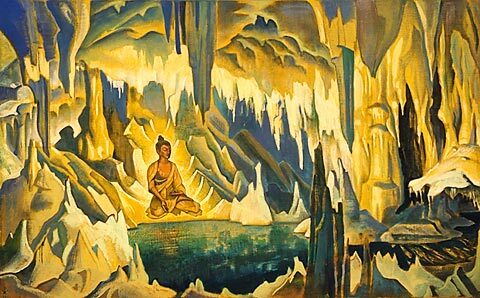 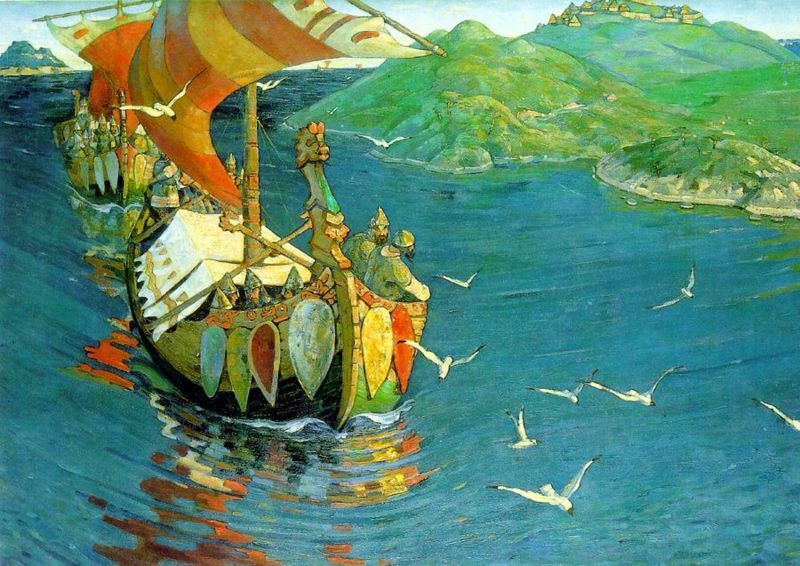 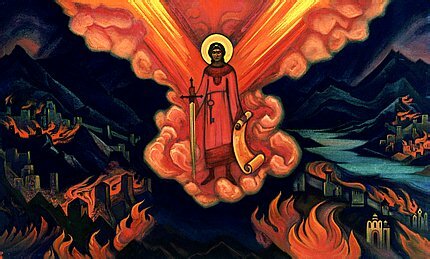 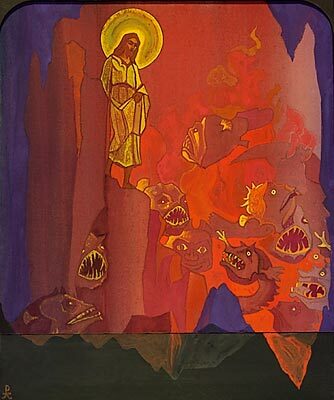 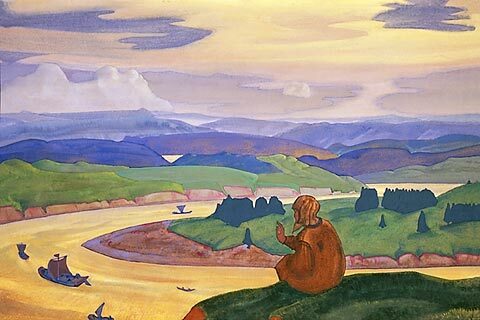 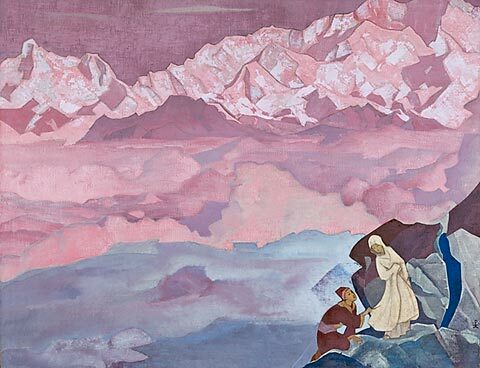 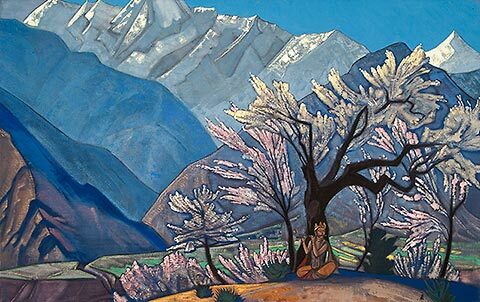 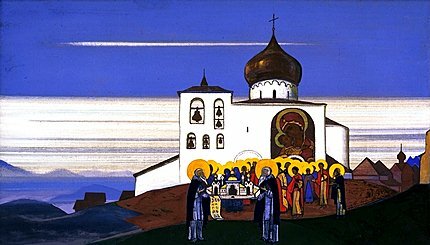 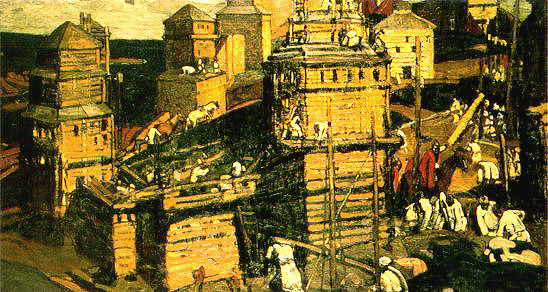 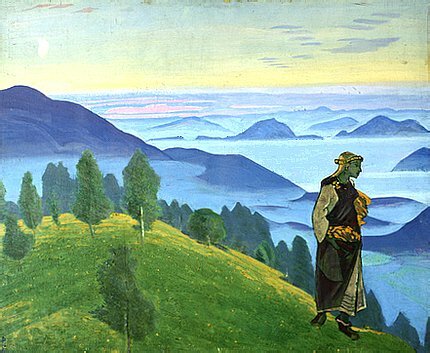 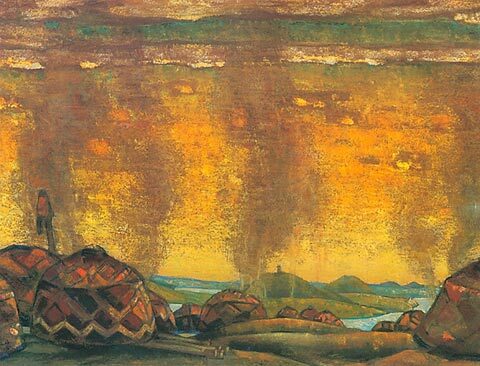 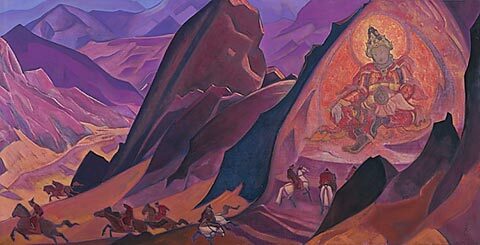 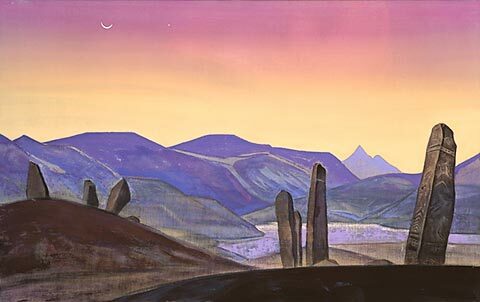 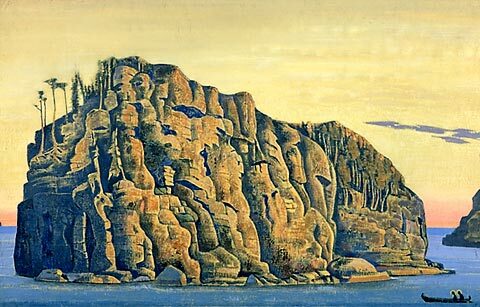 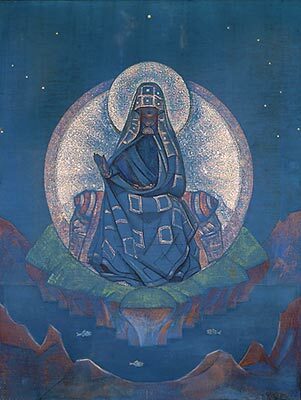 Roerich had wide interests and made an important contribution to Russian culture: he lectured at the Institute of Archaeology (1898); he became secretary of the Society for the Encouragement of the Arts (1901) and director of its school (1906); and he was the first chairman of the World of Art (Rus. 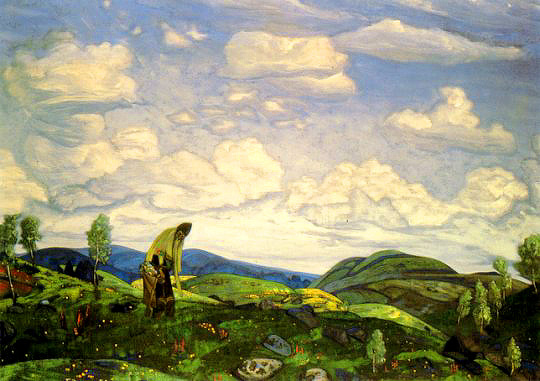 Mir Iskusstva) Society (1910). 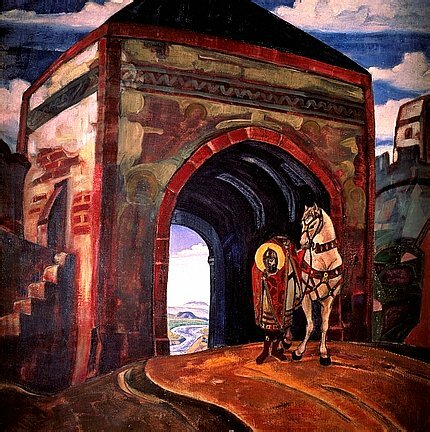 The first volume of his collected cultural writings was published in Moscow in 1914. 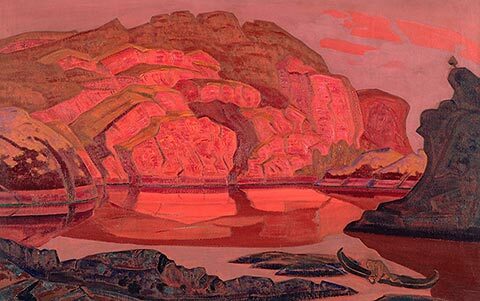 As a painter he exhibited with the Academy from 1897, WORLD OF ART from 1902, the Vienna Secession c. 1905 and the Salon d’Automne in Paris in 1906. 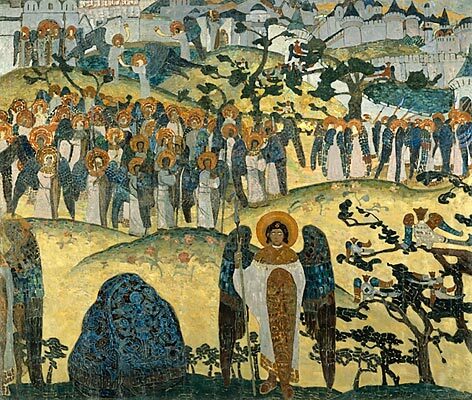 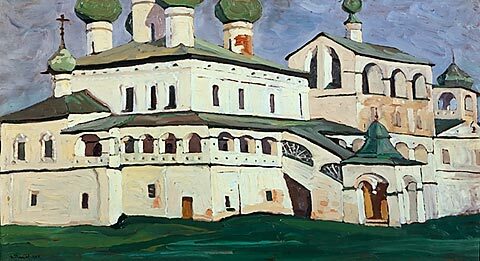 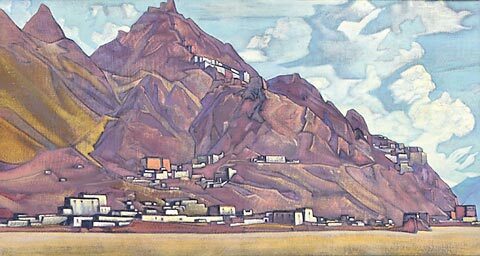 From c. 1903 he was a leading member of the artists’ colony at TALASHKINO, where he designed mosaics, friezes, murals and furniture. 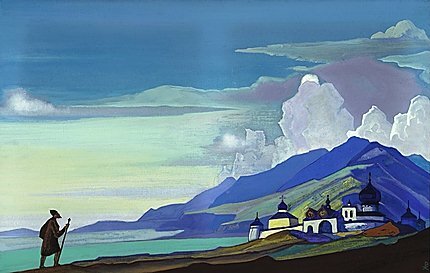 As a stage designer in Russia, he worked between 1907 and 1915 for such directors as Nikolay Yevreinov (1879–1953), Konstantin Stanislavsky (1863–1938) and Serge Diaghilev. 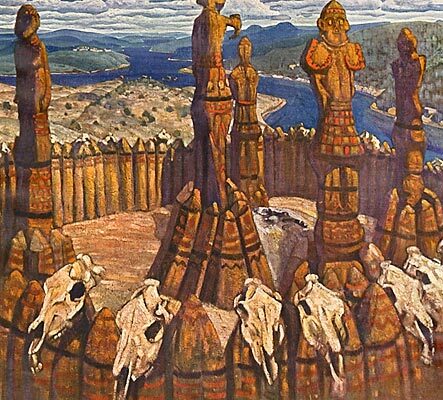 His designs for the Ballets Russes productions of Prince Igor (1909) and Le Sacre du printemps (1913) have become classics.